I wanted to catch up, and finally, I am. We continue to build on the Armoire Vignette. I kit bashed an armoire I purchased as defective. The doors, completely removed and turned around, flipping the sides so it appears that they shut. I sanded and painted the armoire, as well as made shelves and glue them in. The lace covering the door is my attempt at reusing some old lace pieces as draperies. They cover all sorts of sins. Add your large pieces at the beginning, as you will be working from the back forward now. The second largest piece is the purchased ladder back chair. 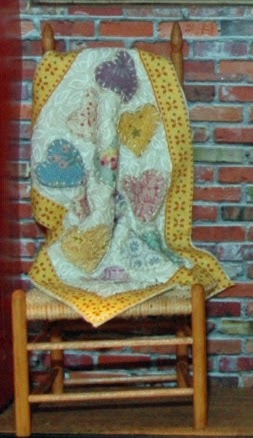 The quilt taught at miniature club. I think it is darling. The process was simple and I feel like I could make many more. 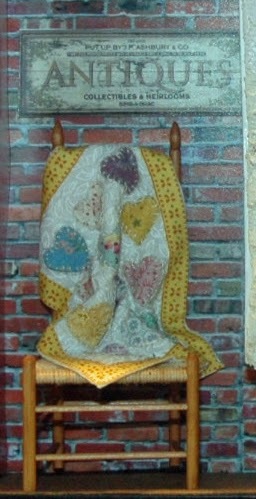 I had previously fit the quilt to the chair and sprayed it with water and steam to hold its shape. I borrowed some country signs from the internet and played with them as well. Notice the Antiques sign over the chair. 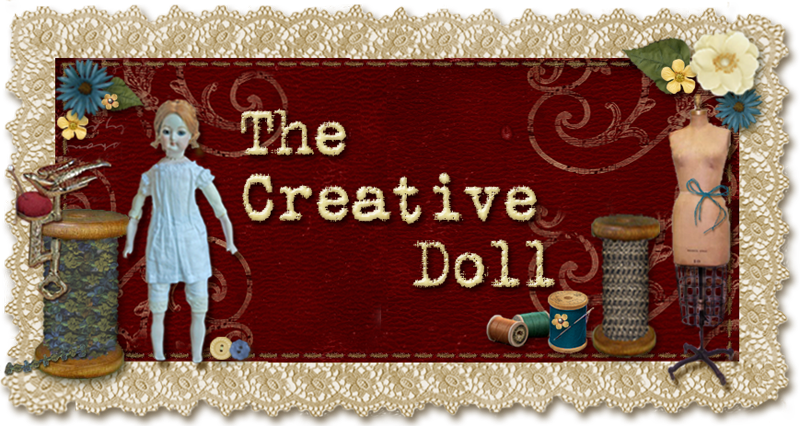 In addition, I started working with the items I had on hand to fill the armoire. I took a class on stained glass in Chattanooga with Penny Champion, IGMA Fellow. My first piece of stained glass rests on the wall above the armoire. To the right of the armoire is another picture of a picture behind a windowpane. I often use only some clear holding wax. I often use only some clear wax to adhere things to the walls.